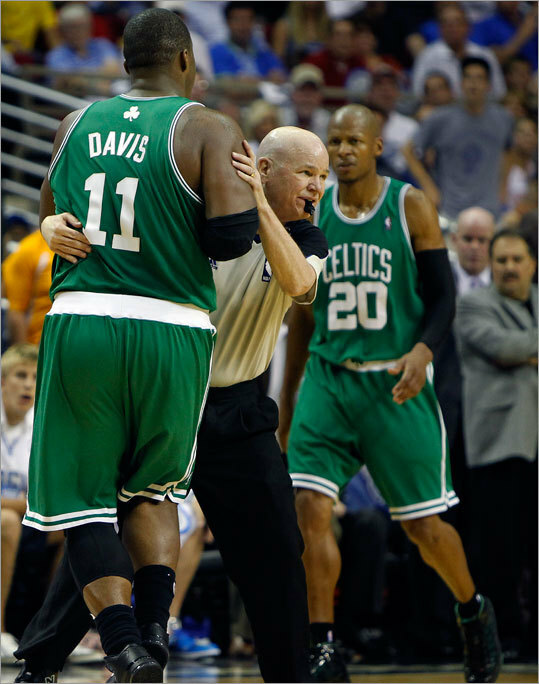 Referee Joey Crawford held up Celtics forward Glen Davis after Davis became disoriented after he took an elbow to the head from the Magic's Dwight Howard. Davis was diagnosed with a concussion and did not return to the Game 5 of the Eastern Conference finals in Orlando, Fla. The Magic defeated the Celtics and forced a Game 6 on Friday in Boston.